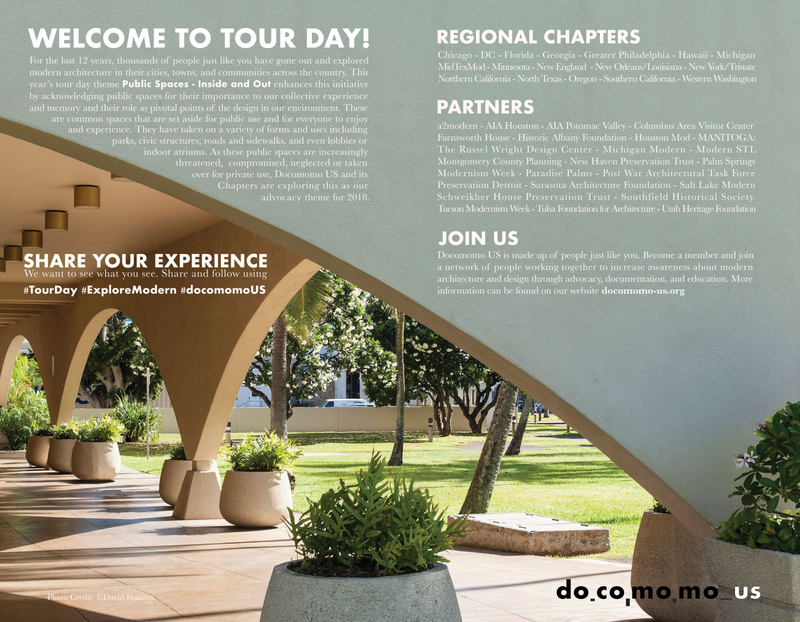 Docomomo US is excited to announce the line-up of tours and events taking place during our twelfth Tour Day. The only national event of its kind, Tour Day is an annual celebration of modern architecture and design where the public and like-minded organizations across the country participate in a tour or event on the second Saturday and throughout the month of October. This year’s theme, "Public Spaces - Inside and Out” builds upon Docomomo US' 2018 advocacy theme and invites people everywhere to explore the innovative design concepts of common spaces set aside for public use while bringing attention to the threats facing many of these significant places. 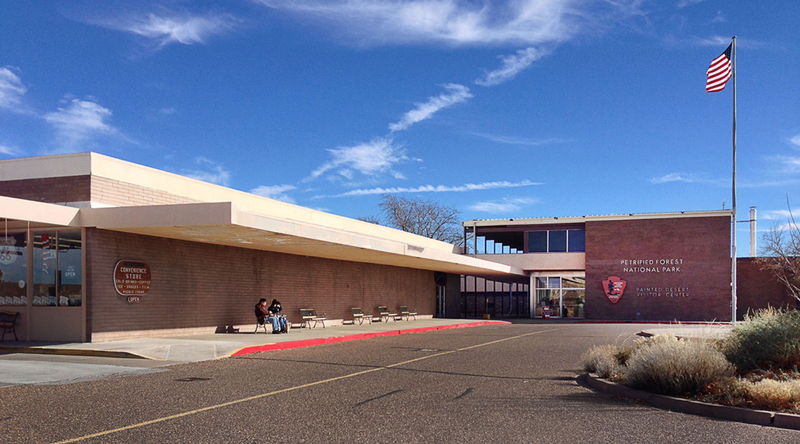 The celebration will feature a series of programs, film, lectures and events highlighting Tucson’s Mid-century Modern design and architecture throughout the city, along with the very popular vintage trailer show. Join Edward Durell Stone's son, Hicks Stone, and SUNY professor Ray Bromley for a tour of the State University of New York at Albany campus, considered a signature work of E.D. Stone. Join New Haven Preservation Trust for a guided tour of the architecturally distinguished Foote School, designed by E. Carlton Granbery and Diana Allyn Granbery in the late 1950s. 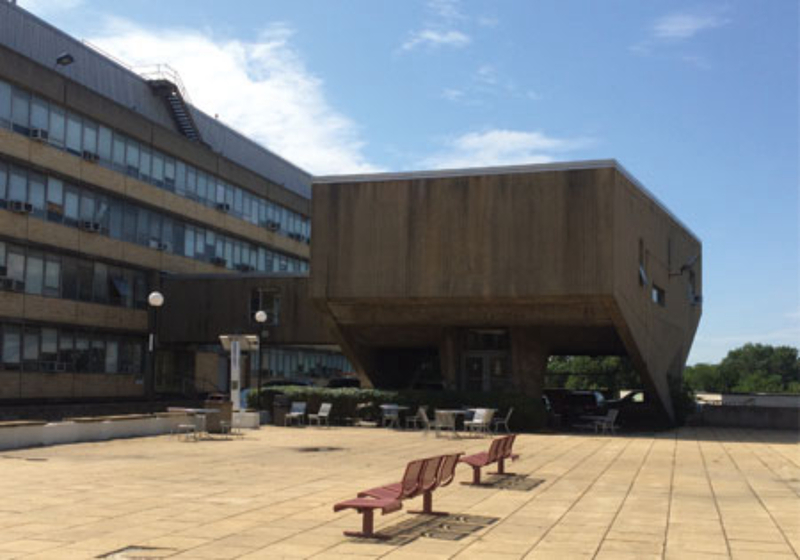 Join the Pittsburgh Modern Committee of Preservation Pittsburgh for a curated walking tour of mid-20th-century modern and postmodern architecture and related sites of public art and design throughout the neighborhood of Oakland and the University of Pittsburgh campus. Join Design Nation and the Pittsburgh Modern Committee of Preservation Pittsburgh for a guided walking tour exploring the relationship between modern & postmodern public art, materials and architectural experience throughout downtown. Walk through the Lloyd District viewing several buildings that reflect the modernist aesthetic of the mid-20th century. Explore the architecture in and around Honolulu’s famous Kapiolani Park, which was heavily redeveloped between 1940 and 1970 to serve the city’s growing resident and tourist population. A look, inside and out, of the iconic 1963 building designed by Gordon Bunshaft of SOM led by library staff. Free and open to all, no registration required. From an award-winning brutalist motor bank to the site of the world's first active solar heating system, this 2-hour, extended spin on Modern Albuquerque's Hairpin Legs tour will introduce you to modern architecture in Albuquerque with some surprise interior access. Join Docomomo US/NOCA in sunny Oakland, California for a tour of Modern architecture and landscapes around Lake Merritt. Join Docomomo US/Chicago for an in-depth walking tour that will explore the landscape, architecture, and art of four iconic urban plazas in the heart of Chicago's Loop. Visit a variety of Privately Owned Public Spaces in Midtown Manhattan—both exterior and interior, some famous and others less familiar, dating from the 1950s to the present. Join Docomomo US/NTX and visit three of the most iconic, modern spaces in Downtown Fort Worth. Docomomo US/Philadelphia marks the close of the Benjamin Franklin Parkway’s Centennial celebration with a special walking tour led by architectural and landscape historian Emily Cooperman, Ph.D.
Join Docomomo US/GA this Tour Day for an exclusive tour including drawings, models and spaces rarely seen by the public! On Tour Day, Docomomo US/DC will explore the evolution of Pennsylvania Avenue from L’Enfant’s plan, to the 20th century work of the Pennsylvania Avenue Development Corporation, to the current studies of the Pennsylvania Avenue Executive Committee. 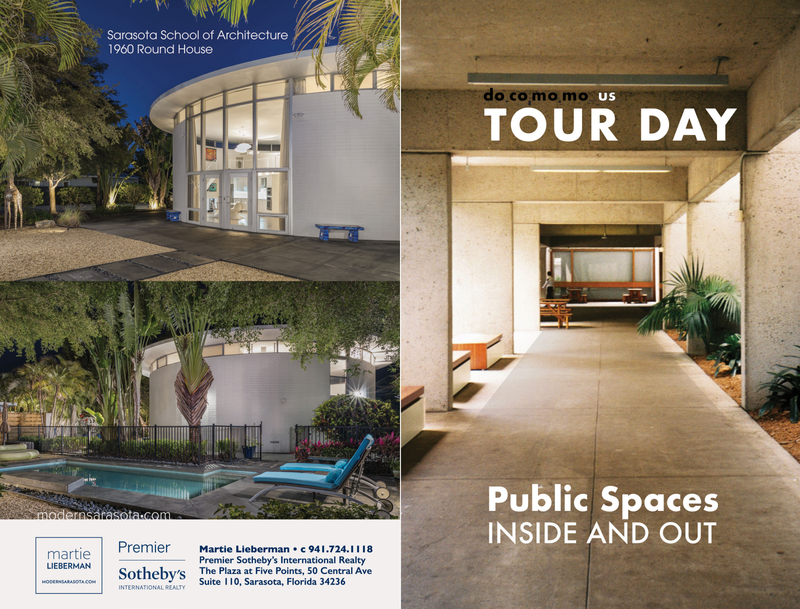 Join Paradise Palms & Docomomo US on a two and a half hour guided tour discussing the architecture and storied past of homes found throughout the community! ModernSTL is pleased to present the unique opportunity to tour several homes of the Ridgewood Neighborhood in Crestwood, Mo., as part of our annual home tour. Docomomo WEWA returns to Olympia with a special tour of the Trueman and Virginia Schmidt House, a National Register-listed property built in 1950 for scions of two, prominent local families. Trueman was the grandson of Leopold Schmidt, founder of the Olympia Brewing Company and Virginia Aetzel came from a family with deep roots in Olympia. This year’s tour showcases well-preserved period finishes and architectural details with respectfully executed updates for modern-day living. 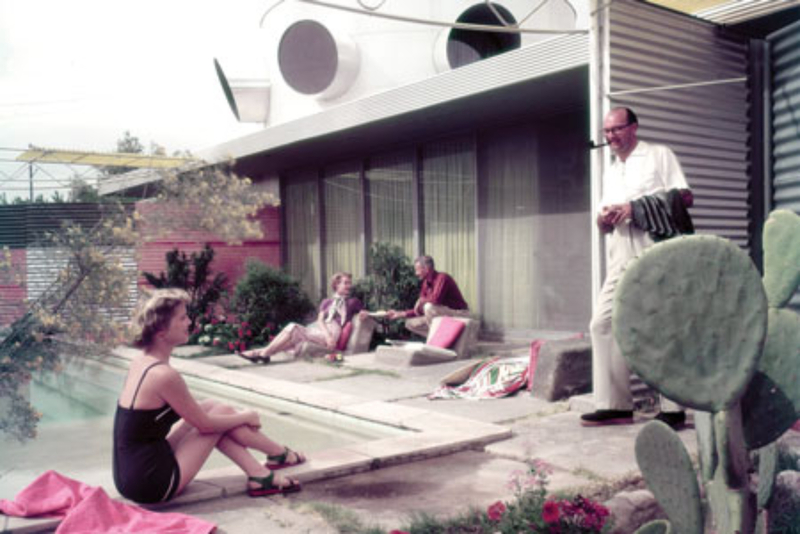 The featured house is a mid-century time capsule designed by Carl Graffunder in 1955 for the owner of the Dale Tile Co.
public spaces in downtown Houston. Come celebrate the 60th anniversary of the sanctuary and the 50th anniversary of the carillon. Join historic landscape architect Helen Erickson for a tour of the TCC modern landscape by Garrett Eckbo. Salt Lake Modern invites you to tour the Westshire subdivision featuring the design of architect Ron Molen. Join Tulsa Architecture Foundation for their monthly architectural walking tour celebrating Tulsa's significant midcentury architecture! Explore the past, present and future of Minoru Yamasaki's Reynolds and American Concrete Institute buildings, through tours and presentations by architectural historian Dale Gyure and Southfield, MI mayor Ken Siver. The Modernism Week Fall Preview is a four-day event in Palm Springs, California from October 18- 21, showcasing midcentury modern home tours, architectural bus tours, informative talks, the Modernism Show & Sale, tours of Sunnylands historic House and Gardens, and nightly poolside cocktail parties. Join Mid Tex Mod as we look back, half a century later, at the history and architecture of the remaining 1968 HemisFair buildings and their place within the park’s recent and future redevelopment. The fifth annual midcentury modern architecture festival celebrating the centennial of Sarasota School of Architecture co-founder Paul Rudolph. Tour Day 2018 is possible by a the generous support of Martie Lieberman and ModernSarasota.com. It's not too late to host a tour! Tour Day events can be hosted by nearly anyone interested in or with access to a significant modern building or site. Tour Day events can also be much more than just a tour. Some of the best events include pre-tour lectures, meet-and-greet with the architects and post-event receptions. 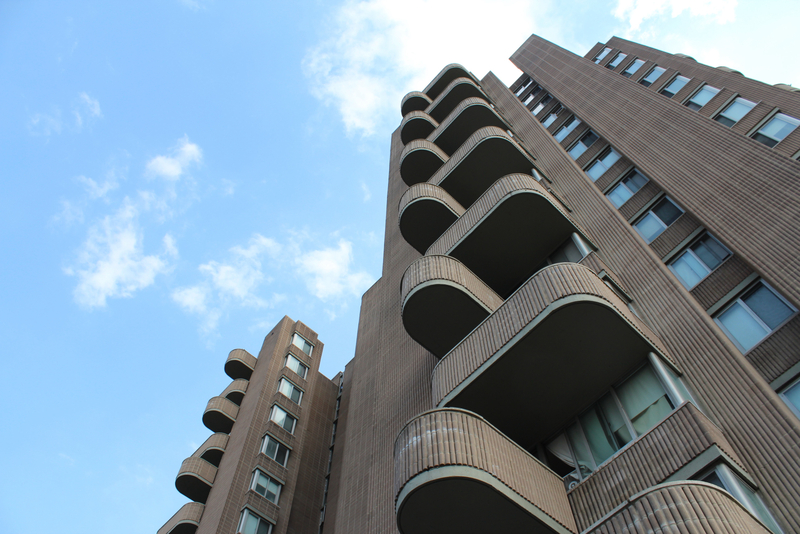 Register your tour or event by filling out the form below or if you have an idea for a tour that celebrates modernism in your area and would like more information, email us at tourday(at)docomomo-us.org. Joining Tour Day: If you're interested in participating in this year's celebration, please fill out the following google form below. Additional details and information will be sent after form is received. Peruse through the tours of the past. You may even find places to add to your modern architecture bucket list.